Rabbi Cy and Cantor Marni are sponsoring, and Cantor Marni will lead, a Passover second-night Seder at the Temple on Saturday April 20, 2019 starting at 5 pm. Call the TBM office for details, or to volunteer to help with preparations for this meaningful event for TBM and the local Jewish community. 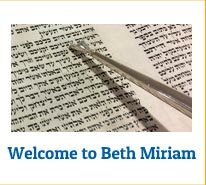 Temple Beth Miriam congregants will help lead a Passover Seder on the last day of Passover Saturday April 27 at 4 pm at The Atria Assisted Living residence in Tinton Falls. This annual event attracts Atria’s dozen or so Jewish residents and their visiting family members. Atria prepares a menu of traditional Passover Seder dishes and ritual items. TBM volunteers help lead the Passover Seder service, though you’ll be amazed at the knowledge and humor of Atria residents themselves. Contact TBM organizer Gayle Topper rqggtopper@aol.com for details and to volunteer, and also to honor TBM’s near-centenarian congregant and teacher Milt Ziment who for many years has volunteer-led Shabbat and holiday services at local assisted living facilities. Join fellow congregants to mark the end of Passover on Saturday April 27 at 6pm at TBM for Family Pizza and Bingo Night Click here for information and please call the TBM office to reserve a space. The expense is modest, and as always, there are discounts for children. Formally join Sisterhood or Men’s Club to be on the inside track of these happy and satisfying excuses for TBM congregants to engage in social action — getting together — sometimes for serious purpose and sometimes for fun, or sometimes both, such as the Men’s Club Softball Team organized by Barry Edison which currently is undefeated. Or please, at least sample some of their immediate upcoming sponsored events and activities. Click on the following for details about an Asbury Park Scavenger Hunt on April 28 at 12:30pm. The expense is modest, and as always, there are special deals for families. Contact Sisterhood leaders Debbie Gerbman dgerbman@comcast.net or Cindy Singer cinsing@aol.com or contact Men’s Club president Al Goldman alvingoldm@aol.com for more information. Long Branch offers three events to mark The National Day of Prayer on May 2, 2019. Click here for information. Don’t pass up the opportunity to study with Rabbi Cy and fellow congregants at the Rabbi’s Shabbat Saturday 10 am class on Torah, Sunday 8 am class on Talmud, also Wednesday 10 am class on the Talmud’s Pirkei Avot volume, and additionally some Wednesday evenings at 7 pm exploring a recent book, Pirke Avot: A Social Justice Commentary. You can show up anytime… no need to register or have attended prior classes. See ‘read more’ below for a brief overview of Pirke Avot, and also to explore several resources that either examine or challenge the very notion of Social Action/Social Justice in a Jewish context. 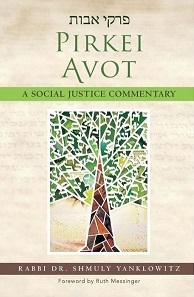 Reviewer Rabbi Joseph Telushkin notes that “Pirkei Avot is the Talmud’s premier collection of the great ethical and spiritual teachings of the Rabbis over a period of hundreds of years.” and lauds Rabbi Yanklowitz for “a work of intensive and wide-ranging research informed by his own active and extraordinary commitment to justice.” Another review notes that “Pirkei Avot (literally, “Chapters of the Fathers,” but generally translated as “Ethics of Our Fathers”) is one of the best-known and most-cited of Jewish texts. Even those who claim to know little about Jewish literature are familiar with maxims such as “If I am only for myself, who am I? (1:14)” and “Say little and do much (1:15).” Popular Hebrew songs take as their lyrics lines such as “The world stands on three things: Torah, service, and acts of loving kindness (1:2)” and “You are not obligated to complete the work, but neither are you free to desist from it (2:21)”. Rabbi Cy explained that Pirkei Avot is completely comprised of short, memorable and repeatable maxims called “mishnahs” that focus on familiar, real life challenges. This contrasts with the rest of the voluminous Talmud which is focused on the details of Torah, with Rabbis at the beginning of the common era interpreting and extending the sometimes obscure, metaphorical or not easily understood passages and parables of Torah, in order to build a foundation for Jewish practices. Each Friday night at 7:30 pm (sometimes earlier, particularly in summer) please come to TBM to celebrate Erev Shabbat, joining Rabbi Cy and fellow congregants, along with Cantor Marni often accompanied by other TBM musical talents. See the TBM home page and calendar for details. Erev Shabbat services are usually traditional, but sometimes feature a Bar or Bat Mitzvah reading prayers, celebration of baby-naming, birthday or other blessings, new music from Cantor Marni, or the participation of a group from among TBM youth. Erev Shabbat services are always followed by a delicious oneg. Summer services frequently are outside on the patio. Please think of bringing a non-perishable food donation to drop off in the bin by the front door, whenever you are coming to Temple Beth Miriam for services, Hebrew School, or a special event. Your food contributions are taken weekly to the newly expanded food pantry at The Lutheran Church of the Reformation at 992 Broadway in West Long Branch. If you are interested in volunteering there, you might consider joining fellow TBM congregants one day a month at the food pantry, and/or help serve meals to two senior groups. Regular congregant participants are Pat Shapiro, Gail Kass, Susan Hodes, and Amy Goldman, along with TBM’s long-time and dedicated organizer Gayle Topper rqggtopper@aol.com who you can contact for more information, or to sign up to volunteer at the food pantry. NJTV’s website offers on demand its eight episodes so far of A Matter of Faith focusing on headlining news through the lens of faith. Bishop Mark Beckwith, Imam W. Deen Shareef and Rabbi Matthew Gewirtz lead conversations with special invited guests. For many of us, the holidays such as Purim, Passover, Selichot, Rosh Hashanah, Yom Kippur, Sukkot, Simchat Torah, and Hannukah are what tie together our Jewish religious practice, Jewish culture, and our daily lives. Don’t deny yourself the opportunity for social action that is absolutely for each of us ourselves, as we are nurtured, and simultaneously help to nurture by celebrating together. Celebration of Passover at TBM is almost here! and you can click here for more information. The Reform Jewish Voice of New Jersey (RJVNJ), an extension of the Reform movement’s Washington DC-based Religious Action Center (RAC), recently had its Annual Trenton Advocacy Day. 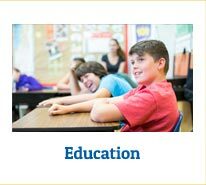 RJVNJ focuses on issues impacting New Jersey that reflect our values as Reform Jews. Stay tuned in March 2020 for the next Annual Trenton Advocacy Day organized by RJVNJ. Contact TBM’s Rickie Kashdan kashdan@comcast.net for more information. A Reform Judaism website article remembers Al Vorspan who helped organize the Religious Action Center of Reform Judaism in the nation’s capital some 70 years ago. Click read more below for contrasting insights on the dilemma of silence as ‘holy’ or sometimes not. 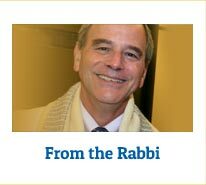 A contrasting, perhaps contradictory definition for silence as necessary for our reaching out for holiness, is related in recent D’var Torah commentaries on Vayikra (Leviticus 1:1-5:26) by Rabbi Ben Spratt and by Rabbi Juliana S. Karol, from Reform Judaism website’s Ten Minutes of Torah. 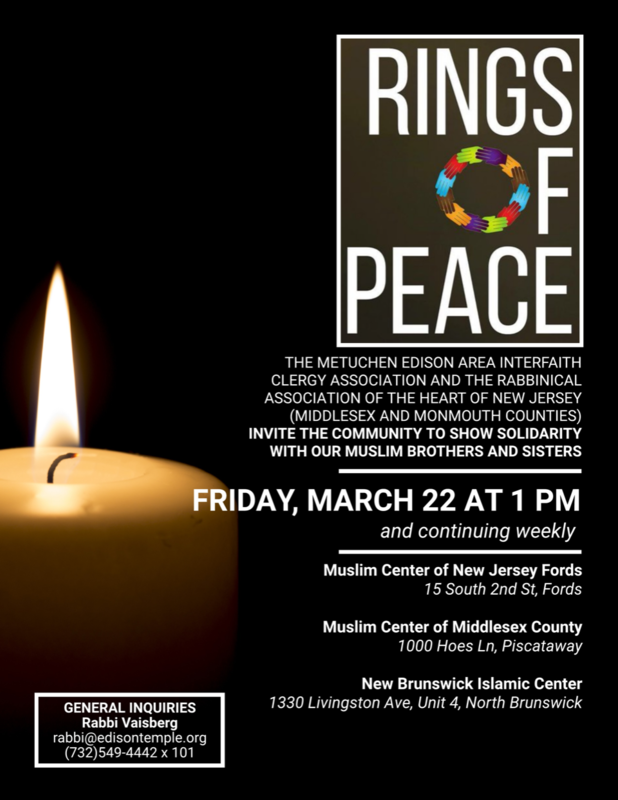 From Rebecca Levin: On Friday March 22, Phil Falcone and I, members of Temple Beth Miriam, along with many others from many faiths came together to completely surround the Masjid Al Aman Mosque in Middletown, NJ. It was one event among many such efforts to create Rings of Peace. We were there offering our condolences and showing solidarity for the massacre in New Zealand of men, women, and children slaughtered while observing their religion.I entered the Middletown mosque, after removing my shoes and sat down. Over a hundred people came in to pray as they do several times each day. Their kindness was overwhelming. Their leader explained to us the peace that the Koran taught, welcoming us with open arms. These are the Muslims I know. The violence done in the name of Islam is NOT from the teachings of the Koran. As I left the mosque, I was given a meal and was thanked for coming. Thanked for doing a mitzvah? These peaceful people stood beside us as we mourned the victims of the hate crime at our sister synagogue in Pittsburgh. “Jewish Federation in the Heart of New Jersey is shocked and appalled by the hate-filled terror attack targeting two mosques in the New Zealand city of Christchurch. We extend our deepest condolences to the families of the 49 victims and to our dear friends and colleagues who are part of the worldwide Muslim family in the heart of NJ. The Jewish community knows all too well the price of terrorism, racism and hatred. No person should ever have to fear attending a sacred place of worship. The xenophobia that led to this unspeakable bloodshed must be condemned in no uncertain terms. We cannot let it continue to violate the moral and ethical core of our society. We join in one voice to categorically condemn the destruction brought by taking the lives of Muslims praying in Christchurch, New Zealand,” added Rabbi Marc Kline, the Federation’s chair of interfaith initiatives. “The mass shooting is an offense to everything and everyone we hold sacred. Let us in one voice categorically condemn all form of hate and bigotry. All TBM congregants and visitors can feel safer that recently ten congregants took part in CPR training and refresher training taught by Beth Weston-Knotts and co-sponsored by Sisterhood. TBM congregants Beth Weston-Knotts and Tim Knotts are certified EMTs and EMT trainers. They have been volunteering their time and resources for years, serving local communities as EMTs and by training interested groups and the public on the techniques for CPR or Cardiopulmonary Resuscitation. According to Beth and Tim, trained individuals encountering a victim of heart stoppage who immediately apply CPR and early use of an AED device can keep blood flow active during the crucial minutes until medical personnel arrive. This can double or triple a victim’s chance of survival after cardiac arrest. Representatives of Mercy Center in Asbury Park recently visited TBM to talk to Rabbi Cy Stanway to discuss initiatives involving TBM and Mercy Center. Rebecca Nichols and Eileen Greenlay representing Mercy Center in Asbury Park talked to Rabbi Cy at the suggestion of TBM congregant David Nussbaum nussmeister1@gmail.com who is TBM’s contact person for initiatives involving TBM and Mercy Center. Proposed initiatives include Mercy Center presenting at a TBM Breakfast with the Rabbi‘ (time to be announced), to describe their 60-student middle school for girls, their Family Resource Center, and food pantry. They are expected to discuss volunteer opportunities where Mercy Center cannot afford paid staff, and have mentioned they would like to invite TBM congregants to their occasional open house events. TBM could include Mercy Center’s food pantry as an additional destination for our non-perishable food collections, and might also have a special item donation drive to meet Mercy Center’s unique needs at particular times, with TBM networking on this with other agencies and churches that facilitate donations to Mercy Center. Contact TBM congregant David Nussbaum nussmeister1@gmail.com for more information about Mercy Center in Asbury Park. Rabbi Stanway was certified as a Police Chaplain by the Long Branch Police Department, and now serves the Long Branch community by working officially in this role, in which he accompanies Long Branch Police officers on particular police calls when the presence of a Chaplain is needed and required. TBM-based youth groups and North American Federation of Temple Youth (NFTY, the Reform Jewish Youth Movement) that grow out of TBM’s religious education program also promote social action among our youth that is close to home, within their Temple and the broader Jewish community. Please acknowledge the efforts of TBM youth by supporting their events like the Purim Carnival and occasional fundraisers. See the TBM home page for details. Gather with Reform Jews from around the US and Canada in Washington DC May 19-21, 2019 to hear national leaders discuss efforts for social justice, and learn skills to make social justice efforts more effective, at the Religious Action Center’s annual event called Consultation on Conscience. Join with the New Jersey delegation to plan how to bring the work home to New Jersey, and lobby our senators and representatives. Early Bird Registration ends January 31, 2019, and there is a discount if there are 3 or more coming from TBM. Contact TBM congregants Judy Berg at judy@judithbergassociates.com or Rickie Kashdan kashdan@comcast.net for more information. ReformJudaism.org highlights in the current issue of its web magazine an essay On Global Jewish Responsibility: Putting the Olam in Tikkun Olam, by Ruth W. Messinger and Rabbi Rick Jacobs (1/21/2019). Also highlighted is an essay 3 Radical Facts About Martin Luther King Jr. and How to Honor His Full Legacy, by Chris Harrison (1/17/2019). The New York Times opinion piece Time to Break the Silence on Palestine by Michelle Alexander references Rev. Dr. Martin Luther King, Jr. as she equates the Vietnam War with the Israeli-Palestinian conflict in her unrelenting (and for many Jews, painful) stab at truth-telling as she sees it. The NJ Jewish News opinion piece Worried about anti-Semitism? Monitor your allies, not your foes by Jonathan S. Tobin partly responds to the above NY Times column, and offers a wide-ranging self-described conservative analysis of anti-semitism and anti-Zionism, using familiar arguments that have deep implications for Israel and all Jews whether you personally agree or not. The Words of My Father: Love and Pain in Palestine, a memoir by 28-year-old Yousef Bashir about his experiences as a young teen growing up in Gaza. The memoir The Words of My Father: Love and Pain in Palestine is a blend of the personal and the political, and has brought author Yousef Bashir acclaim from critics on both sides of the Israeli-Palestinian conflict. Published in September 2018, its UK edition was chosen by the Times Literary Supplement for its Books of the Year. The memoir is the tortuous story of two generations of a Palestinian family sharing their house in Gaza for five years with occupying Israeli soldiers, beginning with the Intifada in 2000. Around 2005 the then-15-year-old author Yousef Bashir was shot in the back by an Israeli captain occupying the home, for which the Israeli army took responsibility and after which Bashir had treatment and sixteen months of rehabilitation in an Israeli hospital for his near paralysis. His brother and father were injured at different times at the home and property that his father refused to relinquish despite initial Israeli demands, so that the family of 11 was forced to live in a single room. Along with the tank and bulldozer destruction of their family date palms, generations-old olive trees, bee hives, an orange grove, and greenhouses (rebuilt at the family’s expense after the Second Intifada and the final exit of the Israeli soldiers in 2005), ancestral land around them has continually been destroyed in the violence. The memoir is the author’s personal project of archiving and disseminating his father’s message – his father Khalil Bashir was a widely respected educator, headmaster of the German school in Gaza, and peace advocate. The memoir focuses on recording and transmitting the words that conveyed the father’s unwavering hope for peaceful coexistence. For instance, Khalil Bashir insisted on greeting the Israeli soldiers with kindness, and told his son of the young soldiers: “They are just children, forgive them.” Reflecting Khalil Bashir’s unwavering commitment to peace, even in the face of the harshest conditions, the father said “We must not let our wounded memory guide our future”, along with “I don’t want to commit the mistake my people made in 1948. I don’t want to be a refugee” as he defiantly kept the family in their Gaza home. Yousef Bashir’s memoir is titled, starts with, and is held together by the words of his father. The memoir has a political strategy of intertwining storytelling through the mind of a teenager experiencing adolescent life in Gaza, with the contemporary political discourse about Palestinians, Israelis and peaceful coexistence, in the midst of which Bashir positions himself now, after studying in the US and moving to the US. Bashir’s focus is exemplified by Seeds of Peace, an international summer camp in the US for teenagers from conflict regions, one of the first places Yousef Bashir shared his story. The Words of My Father: Love and Pain in Palestine, a memoir by 28-year-old Yousef Bashir is available now in the UK. The US edition will be available starting the 7th of May, 2019. This year will also mark the first time that Bashir will return to Gaza in 13 years, this time as a US citizen. An essay in The Algemeiner entitled The New York Times Trashes Israel Yet Again by Mitchell Bard also partly responds to the above NY Times column, and to recent Tom Friedman commentaries, and offers strong criticism of negative coverage of Israel. FYI, The Algemeiner’s advisory board was led by Nobel laureate Elie Wiesel until his passing in 2016. An essay in Jacobin entitled A Milestone on the Timeline of Israeli Brutality by Belen Fernandez challenges the New York Times’ Tom Friedman, and levels strong criticism of Israel’s Palestinian actions. FYI, Jacobin describes itself as “a leading voice of the American left”. A Google search on washington post israelis and palestinians nets a variety of recent news stories on life in Israel and in the territories. A weekly podcast called Unorthodox produced by Tablet Magazine explores Judaism in the 21st century. Unorthodox is a smart, fresh, fun weekly take on Jewish news and culture hosted by Mark Oppenheimer, Stephanie Butnick, and Liel Leibovitz. The hosts interview Jewish and Gentile performers, politicians, writers, and others – delving into everything from antisemitism, to matchmaking, to the Amazon TV series “The Marvelous Mrs. Maisel.” The hosts use their weekly podcast as a tool to provide more examination of religious life. You can listen to individual episodes of Unorthodox here. Unorthodox counts among its supporters Hebrew College in Newton Centre MA which blogs a D’var Torah or Drasha (a talk on topics relating to the parashah, the weekly Torah portion). Particularly related to social action (our coming together to practice our faith and engage others in the tasks we undertake) is the insightful parashah and story of Yitro. 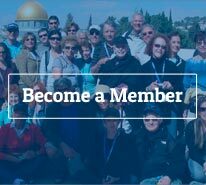 Watch the TBM Calendar for when the TBM Membership Committee sponsors renowned gastronomic gatherings, buffet-style, such as the Chanukah Shabbat dinner, wintertime diaspora Canadian Picnic (the January 27, 2019 event was fantastic), summertime Beach Service BBQ, and Sukkot Havdallahcue. Please invite friends and neighbors. The expense is modest, and as always, there are special deals for families. Be sure to watch for details on the TBM home page. Please contact the TBM office for event registration which helps membership chair Steve Silver get an accurate count for the food. Contact Steve steve.silver@gmail.com about volunteering for an event or to join Kathy Cohen, Mark Cohen, Sandra Maseda, Roy Dressner, Pat Shapiro, Phil Falcone, Steve, and the Rabbi on the membership committee. Watch for TBM Programming Committee Movie Nights that attract young and old adults for a buffet dinner followed by an Israeli or other Jewish-themed film on TBM’s big screen along with some enlightening discussion. (The January 26, 2019 movie night included a delicious Italian buffet, and the movie The Women’s Balcony inspired lots of questions and discussion.) Be sure to watch for details on the TBM home page. Please contact the TBM office for event registration which helps membership chair Mark Cohen get an accurate count for the food. Contact Mark imarkcohen@comcast.net about volunteering for an event or to join the programming committee. Watch the calendar for the occasional well-attended Sunday Breakfast with the Rabbi events that invite a guest speaker who has a significant role in the lives and fortunes of all TBM congregants, to address us and answer our questions, in an up-close and personal setting. Stay tuned for Temple Beth Miriam’s annual soup-making and soup selling fundraiser. The Soup-A-Thon will again benefit the newly renovated food pantry at The Lutheran Church of the Reformation. 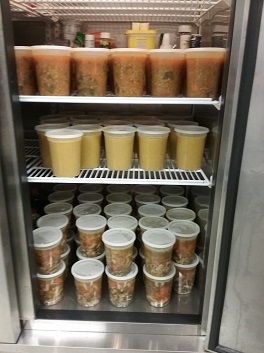 A recent tally was 100 quarts of soup and 3 kinds of treats that were sold after religious school. Chef volunteers, home-made soup lovers, and other supporters are needed to make this a successful event. Contact organizer Gayle Topper rqggtopper@aol.com for more information. TBM’s Bar and Bat Mitzvahs undertake a Kishrei Halev (project of the heart) social action activity of their own choosing as part of their preparation during this exciting coming-of-age time for themselves and their families. There are volunteer opportunities for TBM congregants to advise on these projects as part of the Kishrei Halev Committee, and also to take on a leadership role. Contact Liza Restifo lrestifo@icloud.com for more information. A list of projects undertaken in the past along with additional related resources can be found at TBM’s Kishrei Halev webpage. Rabbi Cy is hoping to reprise during 2019 the memorable Shabbat service of January 19, 2018, when Temple Beth Miriam hosted Trinity AME (African Methodist Episcopal) Church, West Long Branch. TBM’s guests included Trinity AME’s senior pastor Reverend Dr. Lesly R. Devereaux who shared a d’var Torah with Rabbi Cy. Complementing Cantor Marni’s music, the church’s rousing choir entertained us all, and we had the opportunity to talk during the oneg with a large group of the church’s congregants. For 2019 if you might have a suggestion for an eminently sharable Jewish liturgical celebration to which we might invite our Trinity AME Church neighbors, please talk to Rabbi Cy. PLEASE invite friends and neighbors to participate in any of TBM’s events and activities (TBM-congregant-only gatherings are rare). Your extending an invitation would be a social action mitzvah. Expense for events is modest, and as always, there are special deals for families. Please talk to Rabbi Cy if you think TBM should welcome your guests gratis. Visit The Jewish Heritage Museum of Monmouth County in Freehold NJ to see the permanent exhibit Three Centuries of Growth and Change — A History of the Jews of Monmouth County and to enjoy additional changing exhibits and events. If you are in New York City, the Museum of Jewish Heritage – A Living Memorial to the Holocaust is on Battery Place at the southern end of Manhattan. Mark your calendar for ‘United we Sing’ held each November, sponsored by Monmouth Center for World Religions and Ethical Thought (MCWRET) and held at the Unitarian Universalist Congregation of Monmouth County. Monmouth Center for World Religions and Ethical Thought (MCWRET) strives to enhance the acceptance of religious and cultural diversity.The Monmouth Center for World Religions and Ethical Thought was established in 1994 by individuals in Monmouth County from various religious and ethical traditions. It is led by a Board of Trustees comprised of members of our diverse religious communities, including the Unitarian Universalist Congregation of Monmouth County, which serves as the host organization. For 18 years, MCWRET has celebrated, usually on Sunday just before Thanksgiving, a public event featuring music, song, dance, talks, and readings called “United We Sing: Music of Gratitude, Voices of Different Faiths Raised in Joy and Happiness”. See the webpage MRT Social Action: Repairing the World in So Many Ways! 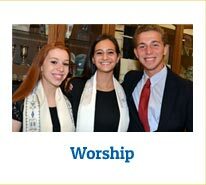 from Monmouth Reform Temple, Tinton Falls NJ website, for ideas on Jewish initiatives for Social Action/Social Justice. See the webpage Social Justice – Unitarian Universalists have a legacy of “deeds not creeds.”! from the Unitarian Universalist Congregation of Monmouth County, Lincroft NJ website, for their perspective on faith-based Social Action/Social Justice. Also, you might contact Sarah Klepner <sarah.klepner@gmail.com> to request to get on her mailing list. Sarah does an amazing job facilitating the publicizing of social justice-related presentations, discussions, and other events taking place at the Unitarian Church and around our geographic area. Monmouth ResourceNet offers a database of community resources, along with a searchable list of volunteer opportunities in Monmouth and other counties. While resources on this website are wide-ranging, Monmouth ResourceNet is specifically anchored by MonmouthCares, a private non-profit organization that partners with families to facilitate care for children with complex needs. A Google search for Monmouth County volunteer organizations provides links to specific organizations such as Lunch Break in Red Bank, United Way, Boys & Girls Clubs, Habitat for Humanity, and Volunteers in Parks that are in need of help. Also listed are websites that can facilitate connecting volunteers with projects and groups that need help. Monmouth County’s official website has a web page that lists some volunteer opportunities. Long Branch and surrounding communities enjoyed a week of interfaith celebration of the legacy of Rev. Dr. Martin Luther King, Jr. from January 16-21, 2019. The celebration began with a Wednesday evening event at Congregation Torat El that included inspiring music, food, insightful reflections by local spiritual leaders, and a panel including two opposite-side-of-the-aisle NJ state senators discussing their personal strategies to avoid devisiveness and solve problems. A Sunday afternoon celebration service at Second Baptist Church featured Rev. Aaron Gibson’s sermon, a d’var Torah that analyzed the many dreams of Joseph and compared them to the dreams of Dr. King. Rev. Gibson noted the enduring success of Joseph’s and Dr. King’s visions, their steadfastness in the face of opposition, and while making difficult choices, their faith and adherence to God’s biblical vision for all Earth’s people. For a list of 2019 events, see the archive below. In the spirit of Martin Luther King Day, click here to enjoy a YouTube musical collaboration between Jewish music’s well-known group The Maccabeats and the group Naturally 7 with a James Taylor cover (that is, performing a James Taylor song). Rolling Stone columnist Matt Taibbi notes incongruities between press and public attitudes today and during Dr. King’s time, in his essay The Annual Misremembering Dr. King Editorials Roll In. Join fellow TBM congregants as we attend the interfaith event at Congregation Torat El on Wednesday January 16 at 7 pm. And be welcome and enjoy any or all events during the MLK celebration week. 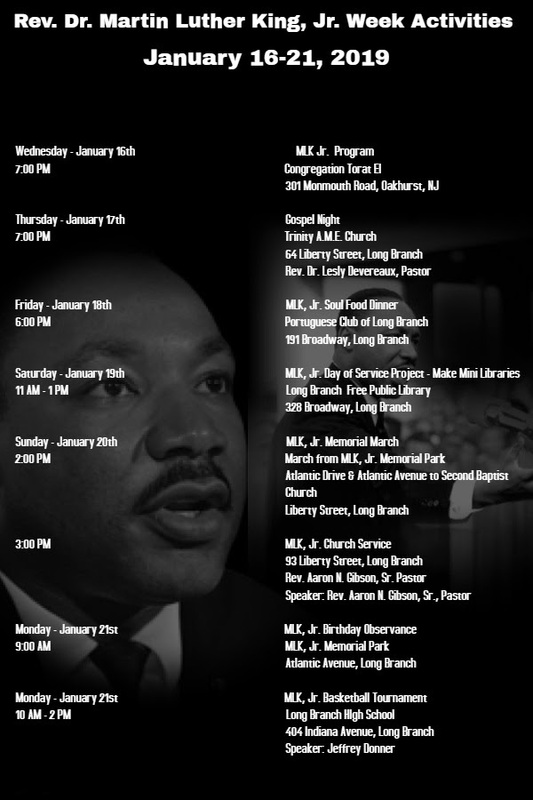 Click here for web page that lets you launch your smartphone GPS with directions to any of the MLK Week events. Stay tuned in early 2020 for the next annual Harmony Coffee House featuring an eclectic selection of live music and performers from Monmouth County and beyond, usually held at Temple Beth Miriam on a Sunday afternoon, with tickets at $5 and refreshments available. The recently held 2019 event is documented at The Harmony Coffee House Facebook page. Fans enjoyed the efforts of a wide-ranging and gifted lineup of performers volunteering their talents to raise money (in 2019) for the Axelrod Performing Arts Center and the Asbury Park Music Foundation. The 2nd annual happening in 2019 of The Harmony Coffee House was produced by Michael and Elliott Topper, Jacob Gerbman, and Maya Restifo. Contact Michael and Elliott’s mom Gayle Topper rqggtopper@aol.com for more information, or to get in contact with the producers regarding suggestions for performance acts at the Harmony Coffeehouse, or to volunteer your help. Stay tuned for the next (March 2020) annual Trenton information and lobbying Advocacy Day organized by Reform Jewish Voice of New Jersey (RJVNJ) usually from 9:30 am to 2:30 pm in Trenton near the State House. The Reform Jewish Voice of New Jersey (RJVNJ) is an extension of the Religious Action Center, focused on issues impacting New Jersey that reflect our values as Reform Jews. The annual Trenton information and lobbying advocacy day organized by RJVNJ is usually from 9:30 am to 2:30 pm. TBM’s contact person for RJVNJ and for this event is Rickie Kashdan kashdan@comcast.net and cell phone 732-927-0795. Rickie strongly advises that you register in advance (in January or Februay 2020) with Reform Jewish Voice of NJ for NJ Advocacy Day (click here) to be able to get appointments with NJ state legislators, and to carpool. Participants will learn about important issues, and meet in Trenton with respective NJ State Assembly men and women and our State Senators, to convey a progressive Jewish Voice. TBM congregants usually plan to carpool, which Rickie can arrange, whether you can provide a ride or if you would prefer to get a ride. Also, members of NFTY and our young people from TBM are invited to attend. The cost is $25, (bring a check with you), however, please don’t let the cost keep anyone home – it will be covered by RJVNJ as needed. The Religious Action Center (RAC) is the political and legislative outreach arm of Reform Judaism in the United States.The Religious Action Center in Washington, DC is operated under the auspices of the Commission on Social Action of Reform Judaism (CSA), a joint body of the Central Conference of American Rabbis and the Union for Reform Judaism. It was founded in 1961. The Reform Jewish Voice of New Jersey (RJVNJ) is an extension of the Religious Action Center, focused on issues impacting New Jersey that reflect our values as Reform Jews. See above regarding the annual Trenton information and lobbying session. In early December 2018 TBM former president Judy Berg organized a house meeting that was hosted Rabbi Cy and Stella Stanway, attended by TBM Board members and other congregants who have had a variety of roles as social action leaders. Judy’s agenda was an initiative from the Commission on Social Action of Reform Judaism (CSA, see Who’s Who above) that involves 360 congregations across America, to devise strategies for future efforts of the Reform Movement concerning issues of social justice. The house meeting at the Stanways featured a guided engagement conversation to brainstorm about which issues are most broadly and deeply felt. Judy’s goal was to assess the role, interest, and capacities of the Reform Jewish community on issues of social justice, to influence RAC’s next social justice initiative. Participants shared personal stories of experiencing or witnessing injustice. Concerns included anti-semitism, women’s rights, racism, gun violence, abuse, mental health and homelessness. What is it that empowers and unites Jews, that might engage us regarding issues of social justice? We heard at the meeting about the importance of community, our desire to debate and discuss, our compassion for others, out need to give back, our acceptance of others, our openness and our command to repair the world. This sets the tone for all we could accomplish. Some participants felt it was better to stick with local initiatives like getting involved with food pantries and community kitchens to support those who are food insecure, dealing with homelessness and mental health issues, confronting sexism and racism, addressing women’s issues, promoting legal justice including voting rights, and helping immigrants. 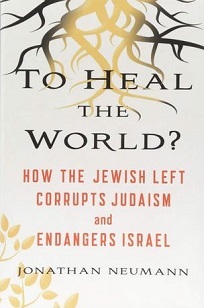 But the group seemed open to explore and pursue additional broader issues that are shared with Jews and others nationally and globally, such as anti-semitism, climate justice, gun violence, defense of Israel, security at houses of worship, interfaith families, and engagement of unaffiliated and all Jews to make the synagogue and Jewish practice more meaningful. Judy will report back key findings and takeaways from the TBM meeting to the RAC. The RAC will then analyze the findings from many such engagement conversations and develop a strategic campaign that will take RAC’s social justice efforts through 2019 and beyond. A selected RAC campaign plan will be announced at the Consultation on Conscience event sponsored by the RAC in Washington DC in May 2019. Additionally, TBM’s Social Action Committee has the opportunity to move both RAC and local initiatives forward. TBM board member and Social Action/Social Justice chair Phil Falcone pffalcone@gmail.com is coordinating this web page. Please send an email to add your initiative and information to this page, or for any other questions or suggestions.